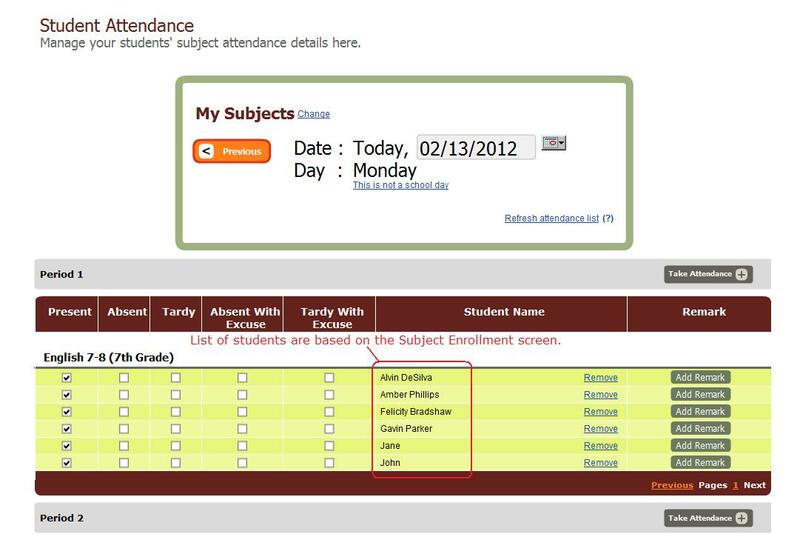 Combined classes are a normal occurrence for smaller schools, due to the small number of students in each grade. So for example, instead of having separate classes for 7th Grade English and 8th Grade English, you might have a combined English class for 7th and 8th grade. So how would you handle that in QuickSchools? 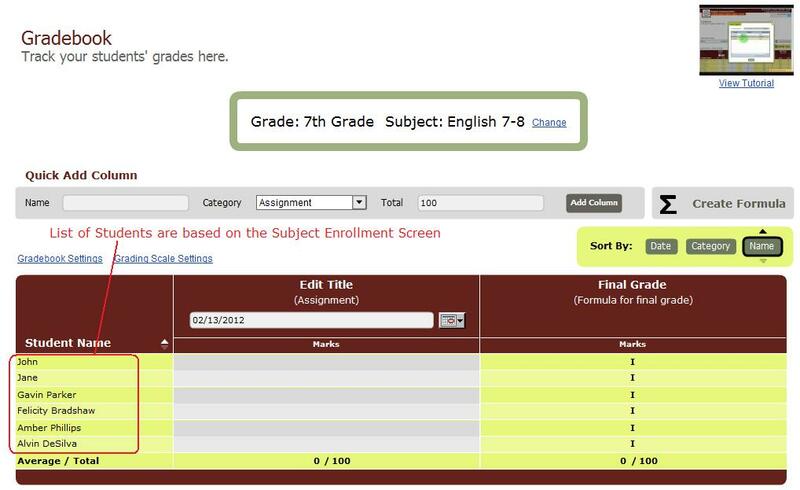 Using the “Enroll student from another grade” section, you can then enroll the 8th grade students (or students from any other grade) into the subjects listed. 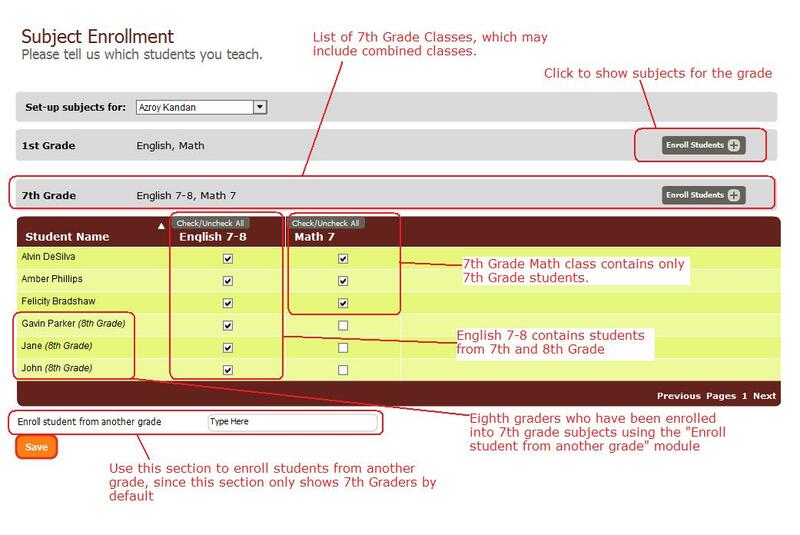 And then use the checkboxes to further refine which students are enrolled into which subjects that you are teaching.